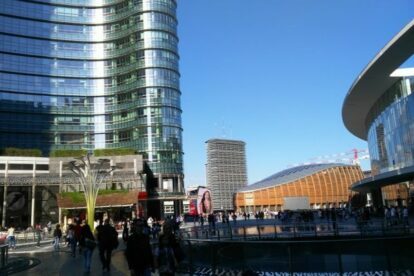 This area is the newest part of Milan and it is quite obvious when you get there, since it is sooo different from the other neighborhoods. There are two possible reactions: either you love it (the change of architectural style creates a sort of surprise effect) or you just hate it (undoubtedly, these sharp glass skyscrapers clash with the surrounding buildings). For architecture lovers I suggest to look at the Unicredit tower, created by the Argentinean architect Cesar Pelli, and at the Bosco Verticale (i.e. vertical wood), a Skyscraper that is just behind the Gae Aulenti square and that has been nominated the most beautiful building by the International Highrise Award committee seated in Frankfurt. I personally love the fountain that lights up with different colors at sunset (you can’t miss it, it creates a sort of low depth lake in the middle of the square) and the atmosphere: it is so rare to see Milanese people strolling around and looking up at the sky instead of rushing to the next shop, restaurant, pub that you can’t really miss it!